Online ordering menu for AYA ASIAN FUSION. 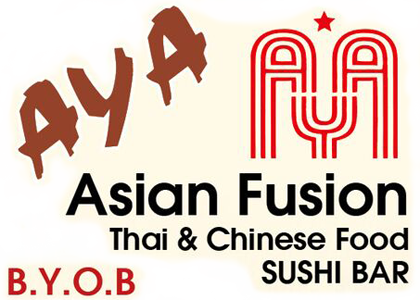 We serve Sushi, Japanese and Chinese cuisine here at Aya Asian Fusion in Philadelphia, Pennsylvania. We also serve Thai entrees such as Pad Thai, Coconut Noodles, and Masaman Curry. We're north of the Delaware River on Frankford Avenue between Cottman Avenue and Teesdale Street. We're near Tacony Park and Lincoln Park. Order online for carryout or delivery!